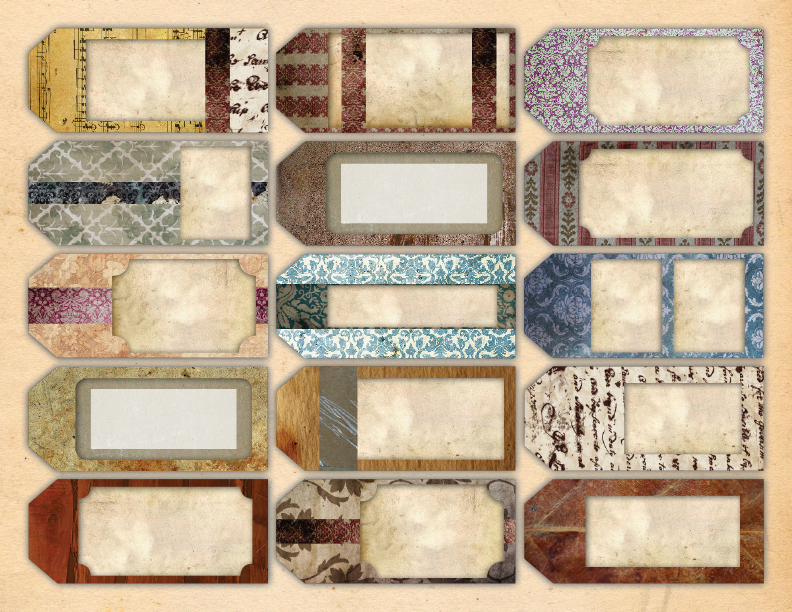 Vintage/Old Fashioned Tags Collection | Print, Cut, Paste, Craft! I have an obsession for old fashioned/vintage looking tags. I use them for anything from gift labeling to organizing items in my home. Here is my favorite vintage collection: old books, wood, wall paper…I love natural looking textures and you can find here a wide selection of them. Click below on an image to download the hi-def JPG, print, cut and you are set.